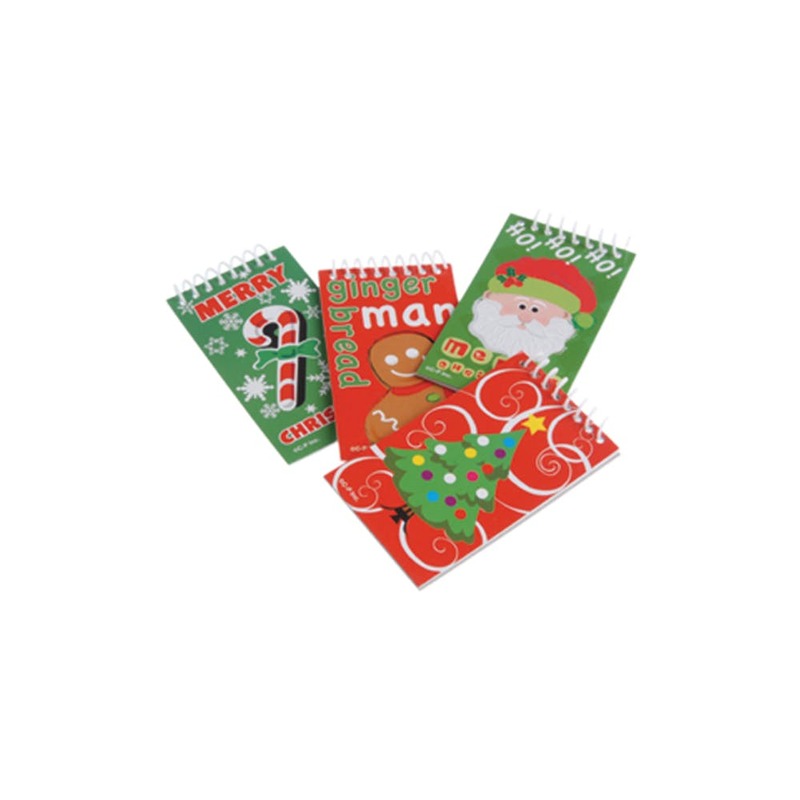 The Christmas themed spiral notebook is great for making a list for Santa. Use the spiral notebooks to fill a party favor bag for school or church. Notebooks are also exciting stocking stuffer that adds excitement around the holidays. Size 2 Ãƒâ€š¼ÃƒÂ¢€Ã‚Â� W x 3 Ãƒâ€š½ÃƒÂ¢€Ã‚Â� T.